266 pages in full colour. Derek Webber has been a prime mover in both the original space commerce businesses of launch vehicle and satellite communications, and in the new phase of private commercial space flight leading to commercial space exploration endeavors. He is currently serving as an international judge of the Google Lunar XPRIZE, which aims at commercializing travel to the lunar surface. In this book, he provides a compendium of “lessons learned” from his 50 years of experience, and includes not only a trove of commercial space data, but behind-the-scenes insights into multi-million dollar satellite negotiations, including fascinating international perspectives of developments during the ending of the Cold War. He takes us through the difficult transition stage as “new space” began to question the way in which “old space” had been operating for four decades, bringing hope of the opening up of a new growth period in space flight, including possibilities for commercial space exploration and exploitation businesses. 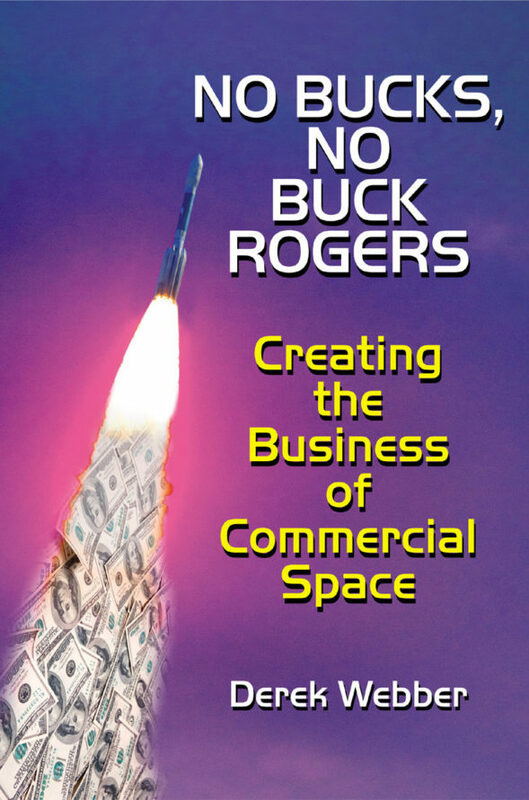 Webber, who has experience which spans engineering, marketing, procurement, and finance, and who has been Managing Director of a satellite broadband provider, captures in these pages the creation of the commercial space business, and builds the case for the movement towards full commercial space exploration, starting with space tourism building blocks. He outlines a way ahead, which circumscribes the limitations of government funding by using the newly emerging entrepreneurial space businesses, re-usable launch vehicles and cubesat technologies to drive the next stage of space developments.